How to stand out in the crowded Dubai food delivery scene? 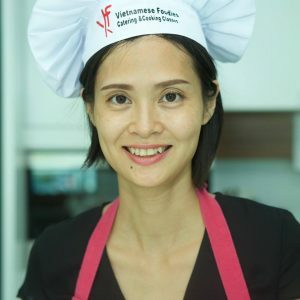 Meet Lily the founder of Vietnamese Foodies. After few years giving cooking classes in Dubai, she decided to launch her own restaurant. As any Dubai, JLT-based restaurant, food delivery was a major part of the potential success of her restaurant. Being an independent restaurant with narrower profit margins than other international restaurant chains, she had been struggling to find the best solution for her delivery needs. Delivery platforms like Deliveroo, Talabat, Zomato or Uber Eats were too expensive. And more importantly, they were taking away the direct relationship between her clients and her restaurant. She knew from experience that it was the key to stand out among competitors on the food delivery market. In addition, she also wanted to own her client data to be able to learn from it and adapt her offers and menu. Messaging Apps the most direct connection between your clients and your restaurant. 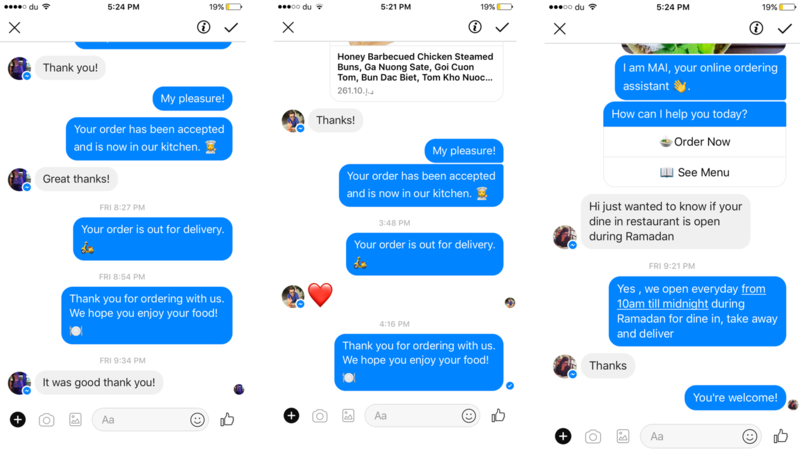 After exploring different solutions, she decided to partner with ChatFood to let her clients order directly to her restaurant using Facebook Messenger. She got convinced by the ability to personalize a little robot called a “chatbot” that could understand her client’s questions and answer automatically exactly the same way that she would do herself. She called it “Mai” and used it as her client’s personal ordering assistant they could talk to 24/7. Her clients were delighted and very quickly she started to see orders popping up. On top of the orders, she created meaningful connections with her clients. She received so many orders that she quickly decided to focus all her marketing efforts to promote her new ordering system. She used the marketing package provided by ChatFood to let people in her restaurant know about her system. In addition, she did a simple video to promote the system on social media and in elevators around her restaurant. Word of mouth kicked in strongly. Clients were praising her for both her food quality her great food delivery ordering solution. Make it personal: create a persona for your ordering system and tell people there is a system to help them order. Images are key: people buy with their eyes so display pictures on your menu or inside the chat. Go offline: Print stickers, flyers, table tents to tell people they can order to you directly. 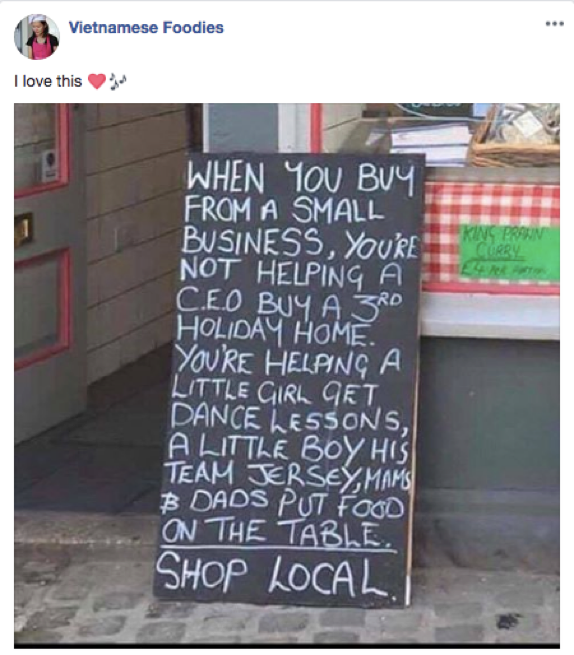 Finally, as Lily posted on her Facebook page, your order is immediately more meaningful when you know you support local businesses vs using international aggregators.